Age of tattoo, age of patient, tattoo size, location, depth of ink, colors, cover-up vs. original, home-made vs. professional, health of client, skin type and color, and several others. Spot size (of the beam), wavelength (532nm, 755nm, 1064nm), speed of the pulse (550-750ps), pulses per second (hertz), pulses per cm2, Jules per cm2, and several others. 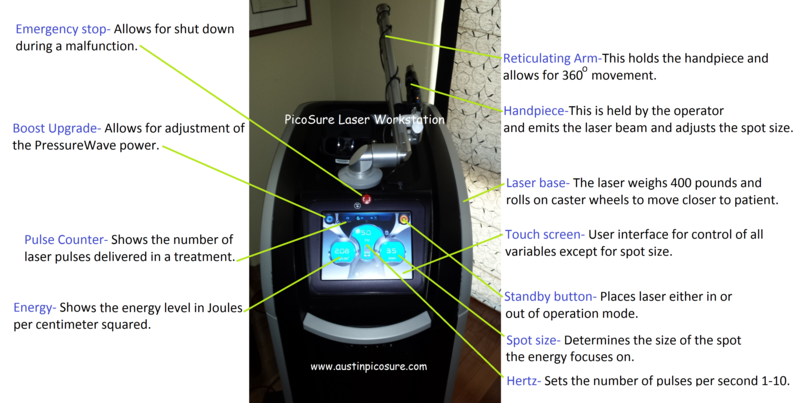 If you’re a patient with a tattoo you want completely and safely removed with PicoSure, please give me a call at Austin Medspa (512.479.9997) and schedule a free, no-obligation consultation. If you’re a PicoSure provider and you’re in need of some coaching on how to best remove tattoos you can call Cynosure (844.365.5060) and request to have me sent to your location for a small fee. 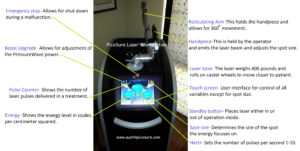 We can review all of the PicoSure parameters and settings, as well as treat your most difficult removals. If you decide to have me train your office, I look forward to working with you!